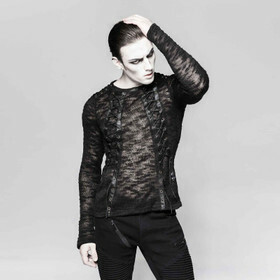 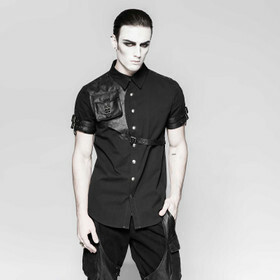 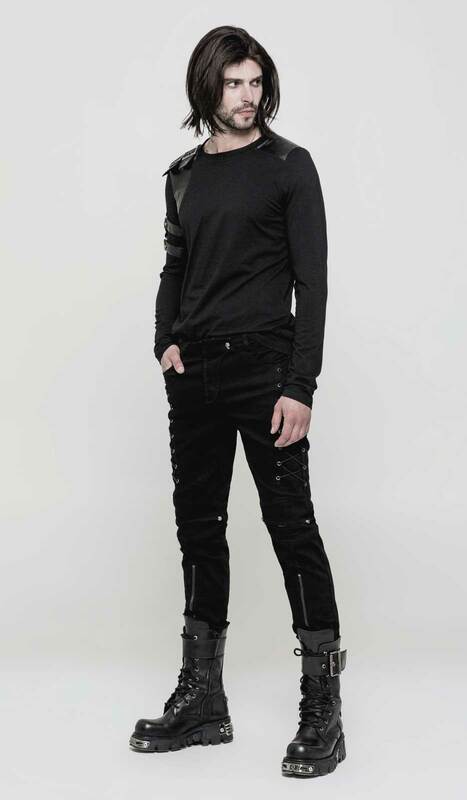 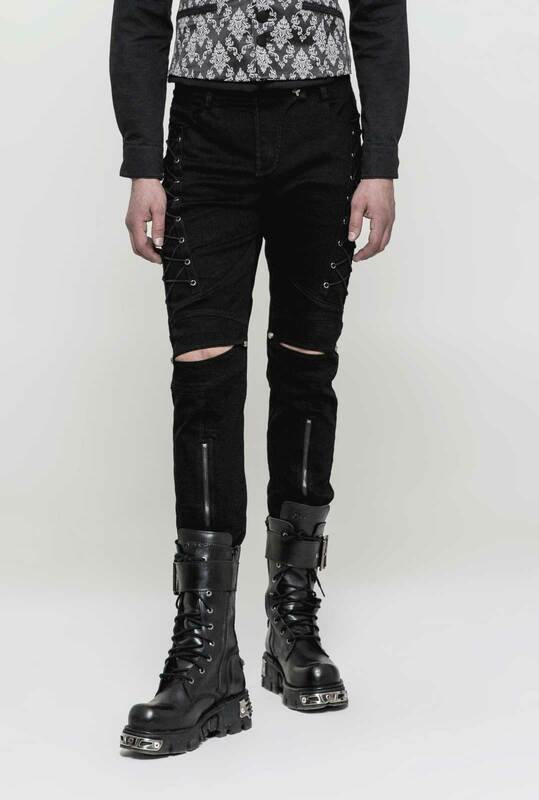 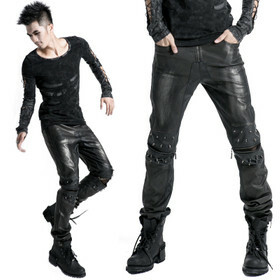 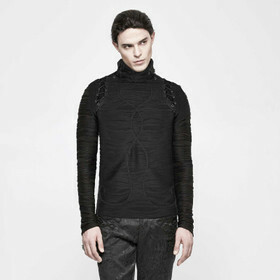 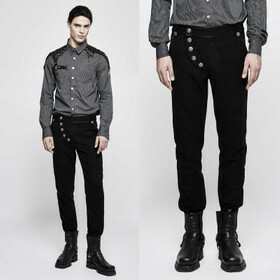 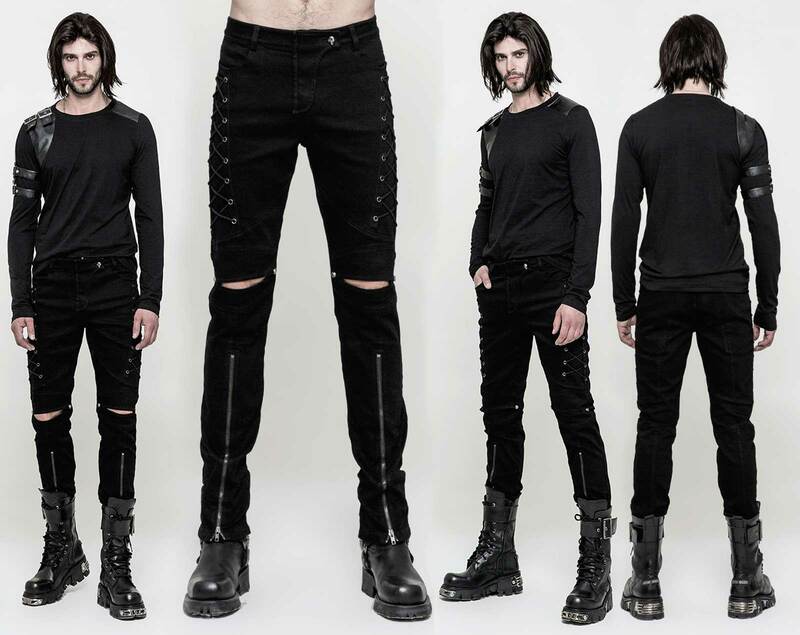 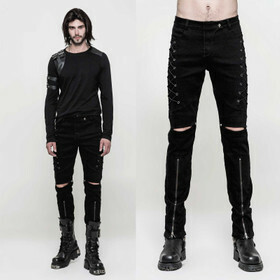 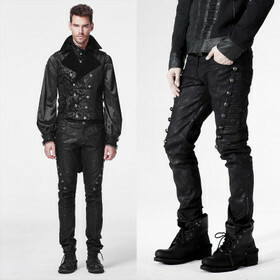 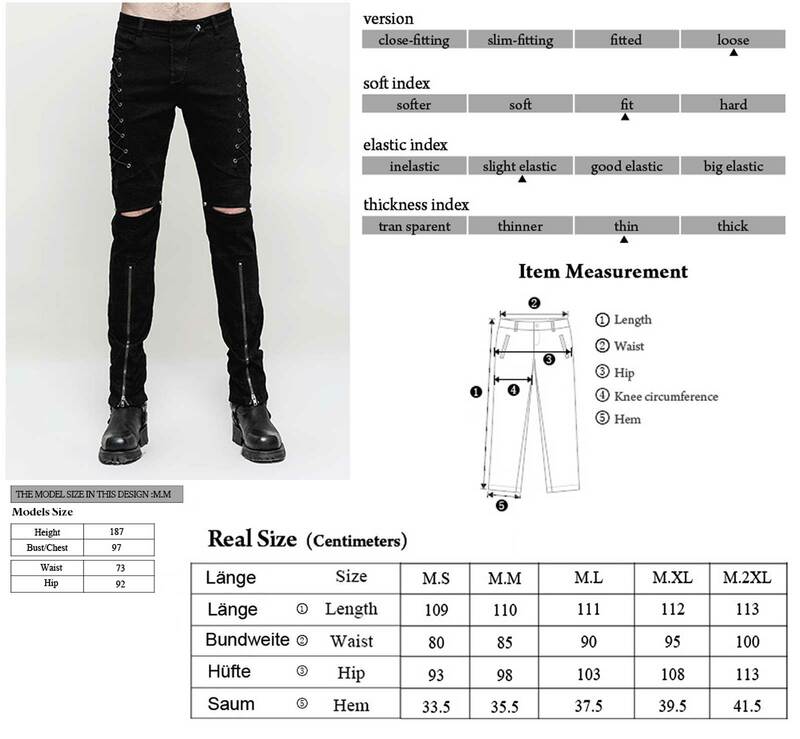 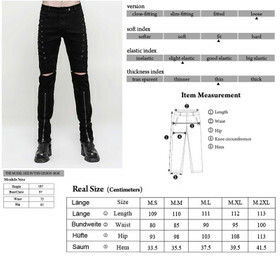 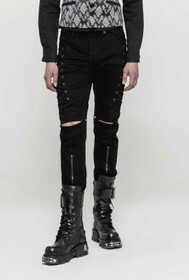 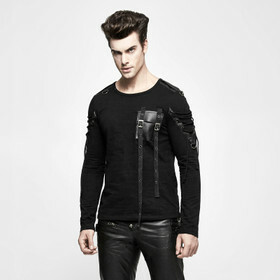 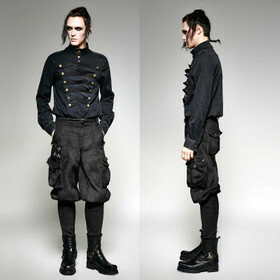 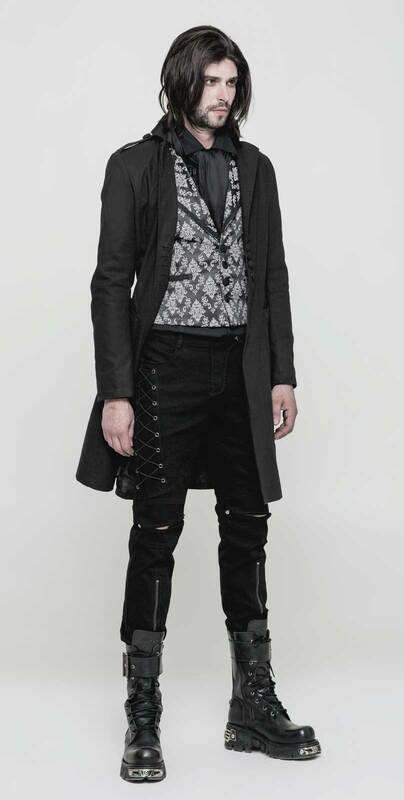 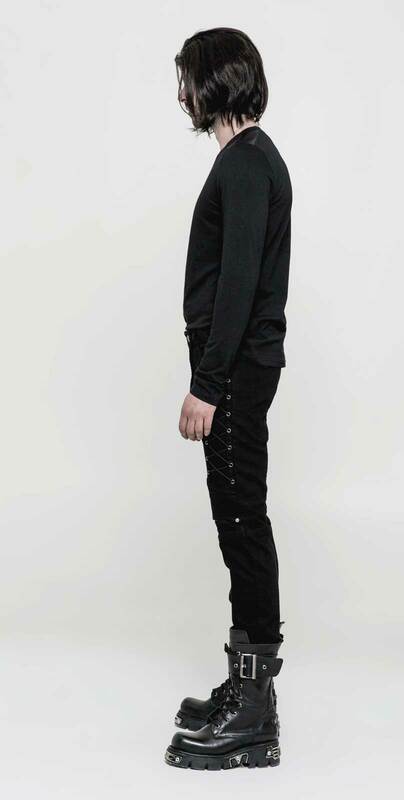 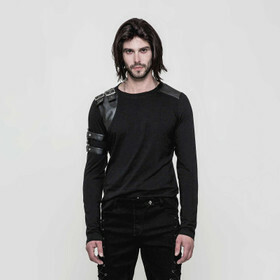 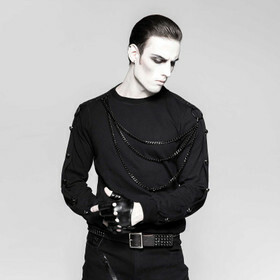 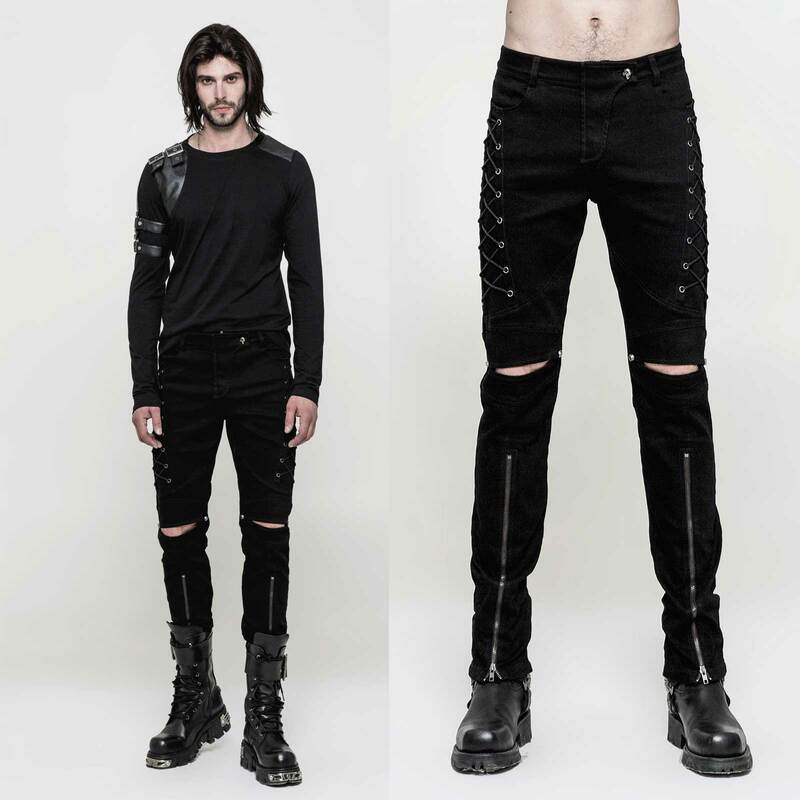 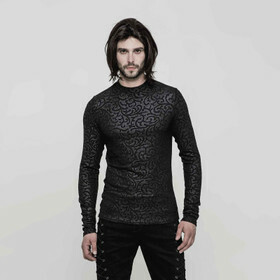 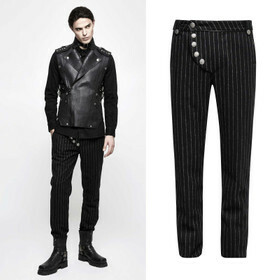 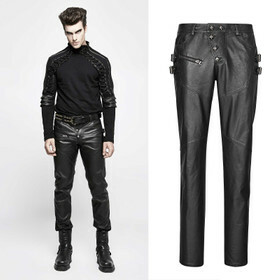 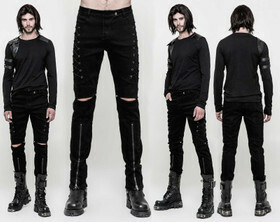 Striking gothic pants for men by Punk Rave. Black cotton stretch twill. 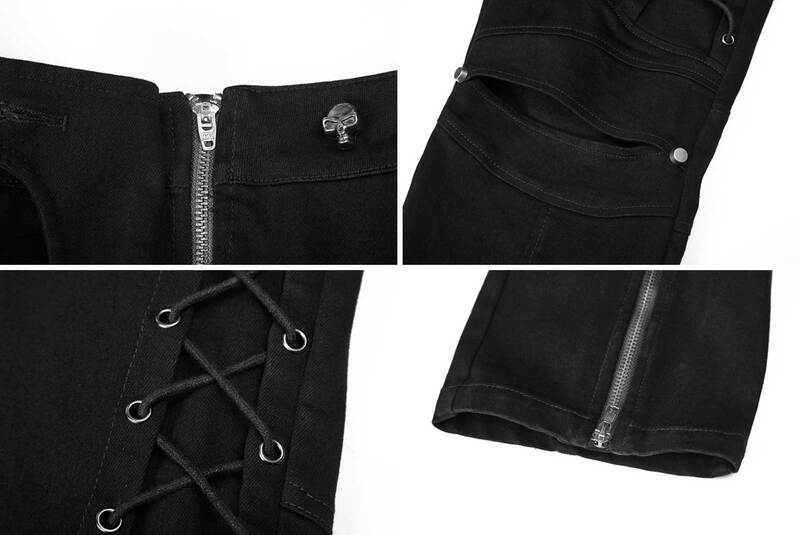 Thighs with flashing lacings and knee slashes. 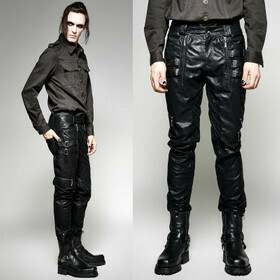 Striking gothic pants for men by Punk Rave. 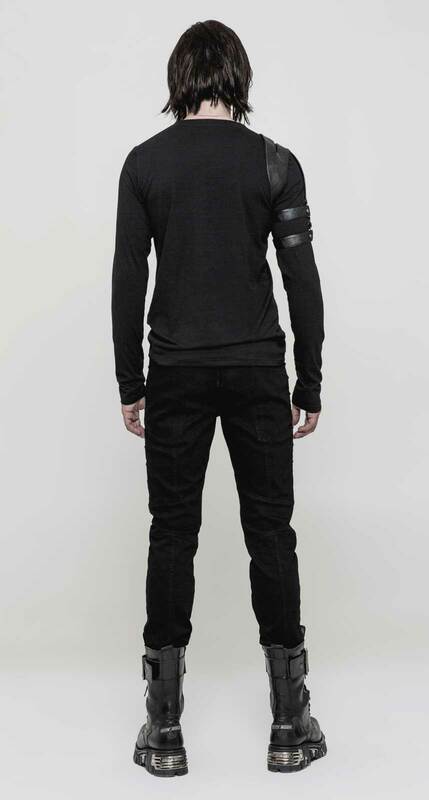 Black cotton stretch twill. 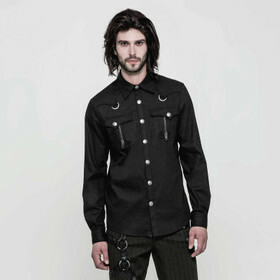 Classic cut with saddle and belt loops, two front and back pockets, zip-fly and flap with skull button. 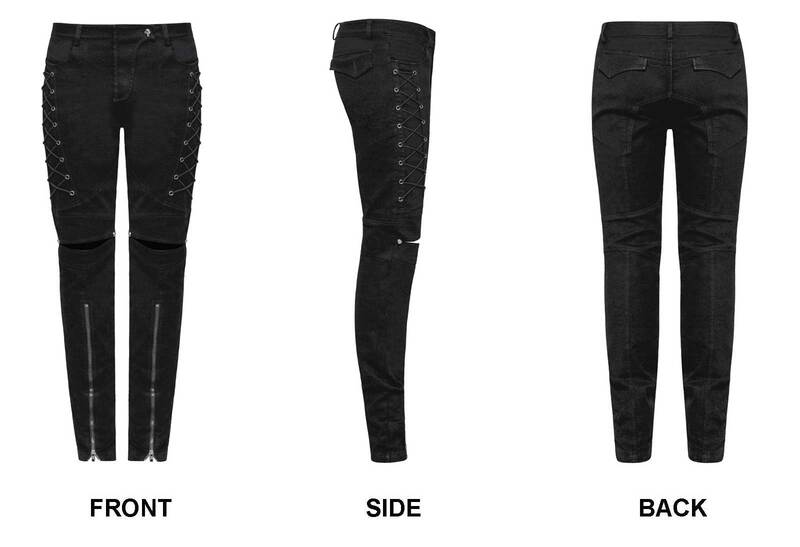 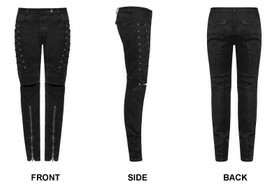 Thighs with flashing lacings and knee slashes; front zipper on the lower legs.